More limited edition collector fragrance bottles, with the usual disclaimers: in most of these cases, the juice is unchanged, just the bottle is “special” (or not, as the case may be), and some of these may not be available in the US. Today's post includes summer editions from Jean Paul Gaultier and Issey Miyake; collector editions from Cartier; a new travel size of Acqua di Parma Colonia Club and a new solid perfume compact for Lorenzo Villoresi Teint de Neige. 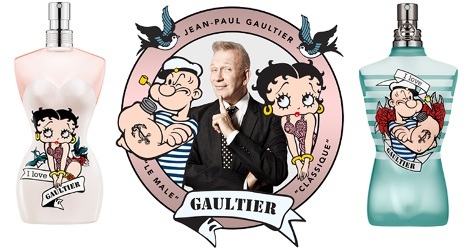 From Jean Paul Gaultier, the annual summer editions of Classique and Le Male, featuring Betty Boop and Popeye (you can see the summer 2015 versions here). Betty is in 100 ml Eau de Toilette Fraîche, Popeye is in 125 ml Eau de Toilette Fraîche. Both can be found now at Nocibe in France. 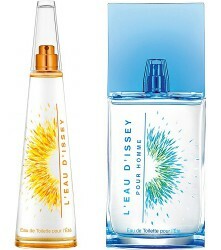 From Issey Miyake, the annual summer editions of L'Eau d'Issey (100 ml) and L'Eau d'Issey Pour Homme (125 ml) for 2016. This year's models feature designs by artist Michelle McKinney. Available now at Tendance Parfums in France. 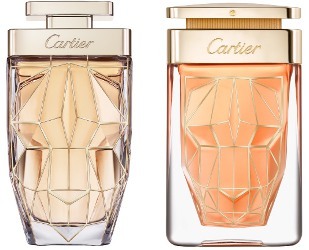 From Cartier, bottles of La Panthère Eau de Parfum Légère (left, 100 ml) and La Panthère Eau de Parfum (right, 75 ml) both enhanced with a graphic design in gold. Also at Nocibe in France. 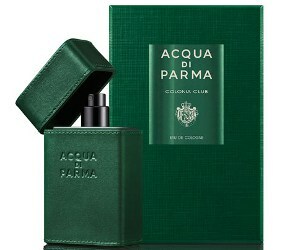 From Acqua di Parma, Colonia Club in a 30 ml travel spray with "highest quality green Tuscan calfskin leather" case. $178 at Neiman Marcus. 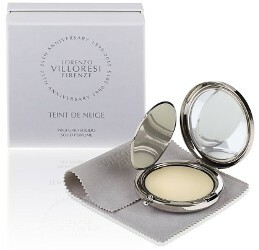 From Lorenzo Villoresi, Teint de Neige in a limited edition, refillable 10g solid perfume compact celebrating the brand's 25th anniversary. €96 at Lorenzo Villoresi. I assume it is the same as every other year, but sorry I don’t know for sure!